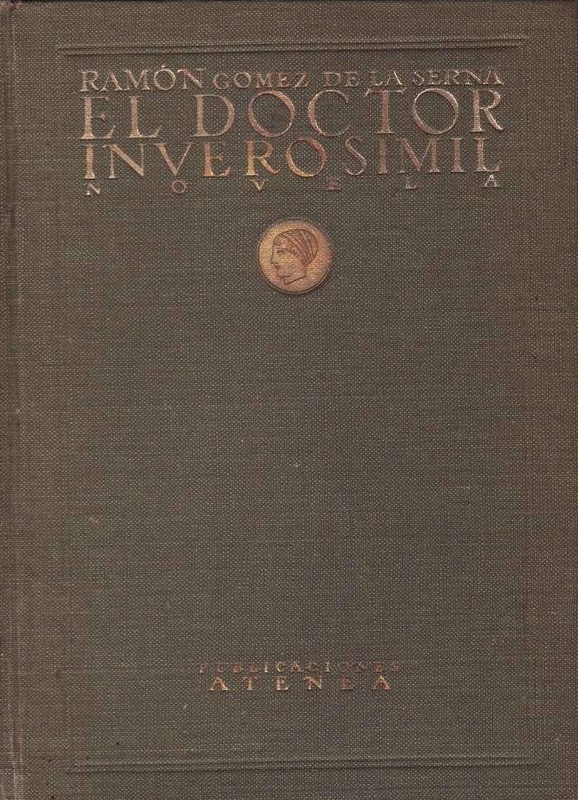 This week I finally finished reading El doctor Inverosímil by Ramón Gómez de la Serna, published in book form in 1921. I don't have space for a full explanation of Ramón's importance in Hispanic letters (not that I have the knowledge for a truly comprehensive one), but a rough sketch could be approximated by saying that in the mid-1920s he was considered the Spanish equivalent of what Proust was in French literature and what Kafka was in German literature. If he hasn't maintained that stature in the century since, it may be due more to a general neglect of Hispanic literature (even in Spanish) than a reflection on his work specifically. It's both a kind of preamble to Surrealism and a kind of lengthy, over-explained joke. (Much like much of Surrealism.) You can sort of feel Ramón struggling against his chosen thematic limitations, trying to invest the dry, this-or-that field of medicine with the magical overlapping visions a Cubist painter might endow a street scene, and he sometimes fails to walk the modernist "make it new" tightrope between scienticism and traditionalism, taking refuge in tired antisemitism, rote misogyny, or a quasi-Futurist worship of poorly-understood technology.